Use the form below to contact tour 4 Day Traditional Creative Arts Experience in Istanbul directly. 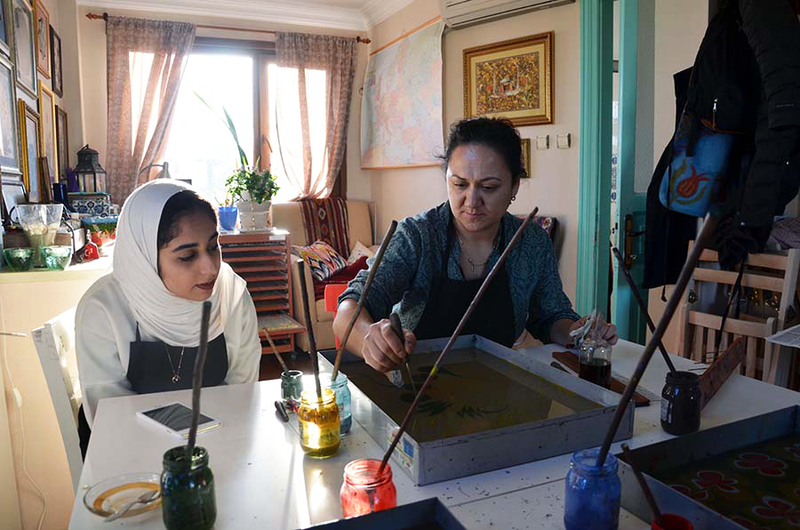 Learn about the techniques of the traditional Ebru Art ,Turkish tile art,Turkish Calligraphy,Henna Class from out teachers in the center of Istanbul – Sultanahmet. 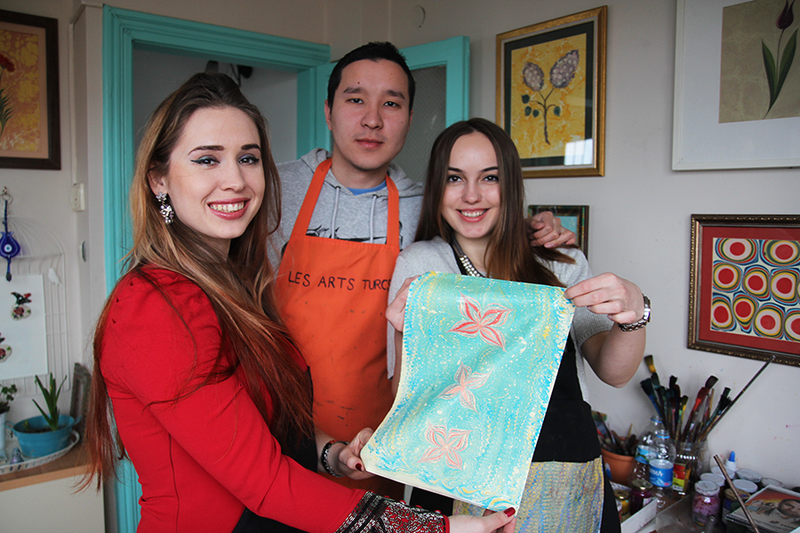 Spend 4 days with us in istanbul learning the art and culture. After you can join our lunch in our art studio. Home made food with us . 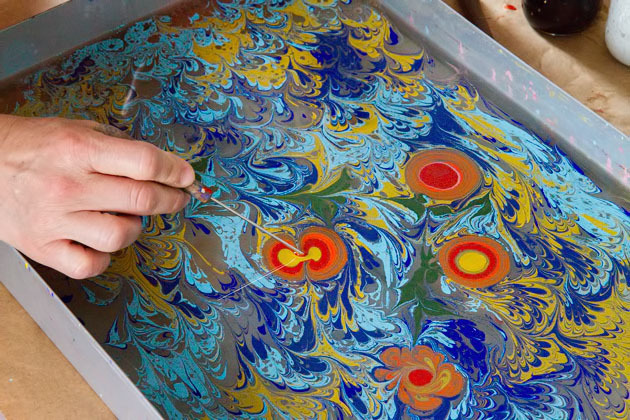 Learn the techniques of traditional Ebru Art (Turkish Marbling), Turkish Tile Art, Turkish Calligraphy and Henna from our devoted teachers in the centre of Sultanahmet Istanbul . Spend a couple of hours per day with us soaking in the art and culture that this beautiful city offers in a friendly environment. Your comfort is our main priority as we offer traditional home-made lunches alongside your learning experience! Join us or drop us a message if you have any queries that we’re always on hand to help. Upon request, we can provide you 3 or 4 pr 5 Stars Quality hotel or Boutique hotel or Furnished Flat near our workshop located in the center of Sultanahmet. 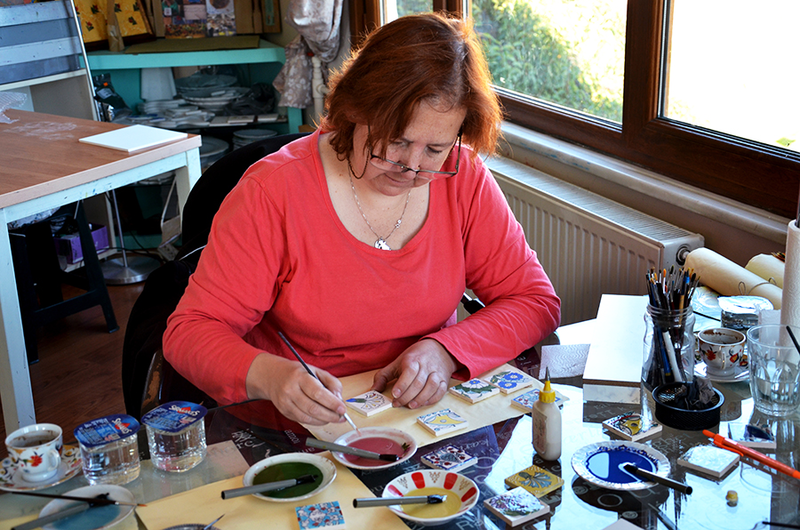 The art of Turkish tiles and ceramics have a very important in the history of Islamic art. Its roots can be traced at least as far back as the Uighurs of the 8th and 9th centuries. Its subsequent development was influenced by Karakhanid, Ghaznavid, and (especially) Iranian Seljuk art. With the Seljuks’ victory over the Byzantines at Malazgirt in 1071, the art followed them into Anatolia and embarked upon a new period of strong development fostered by the Anatolian Seljuk sultanate. 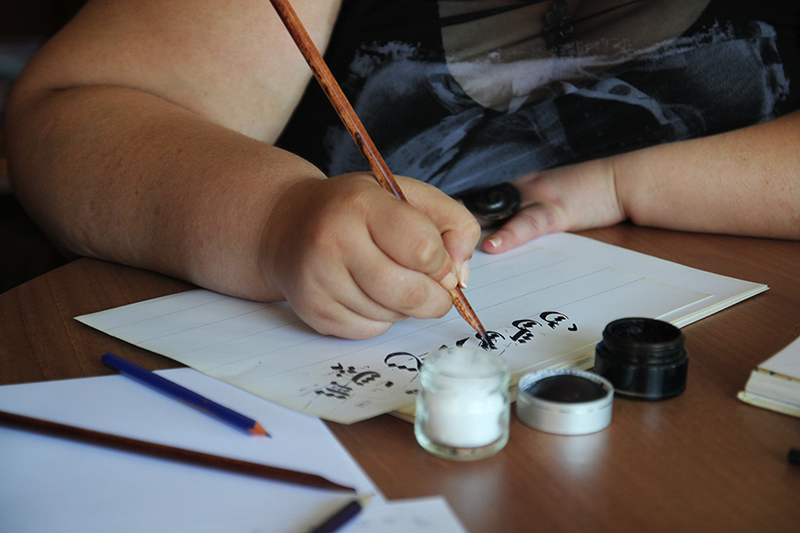 Ottoman – Turkish Calligraphy, also known as Arabic calligraphy, is the art of writing, and by extension, of bookmaking. This art has most often employed the Arabic script, throughout many languages. Calligraphy is especially revered among Islamic arts since it was the primary means for the preservation of the Qur’an. 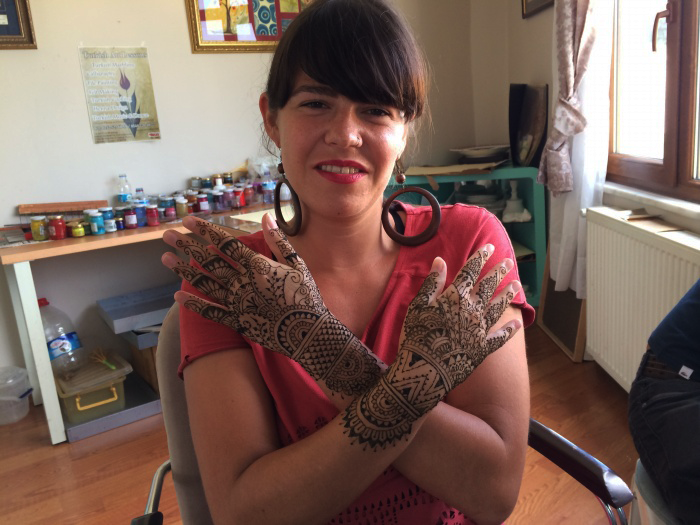 Henna is an old tradition in Turkish Culture. It is an important part of the weddings & special ceremonies. * Henna Design Workshops for locals & foreigners (1,5 hours workshop ) to teach the preperations, techniques and designs. * Turkish Henna for Weddings & Special Occasions. Our Artist meets with the guest and make henna for themselves for the special occasions like weddings according to the needs. * Turkish / Indian Style Henna Drawings on the Hands upon request. 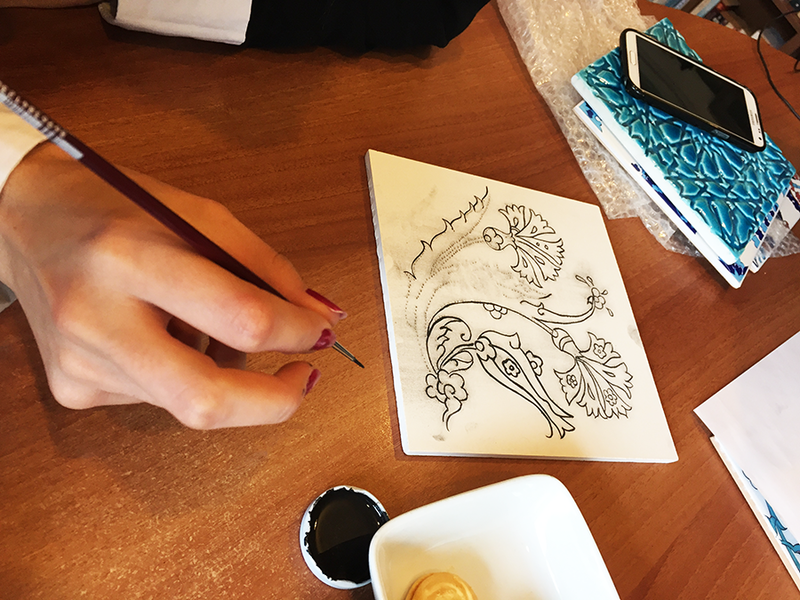 Our Artists : We have 12 different professional Artist from Fine Arts University in Traditional Turkish and Indian Henna designs. Upon request, we can organise a special Henna evening theme in Istanbul for weddings and Special events.